The lovely Angie from Sundaybelle has given me the Liebster Award. Now how sweet is that! 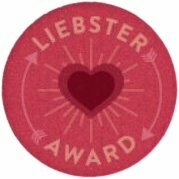 To tell you a bit more about this award: The Liebster Blog Award is given from blogger to blogger – meant for bloggers who have less than 200 followers. The Meaning; Liebster is German and means sweetest, kindest, nicest, dearest, beloved, lovely, kind, pleasant, valued, cute, endearing and welcome. 1. Milk, dark, white or no chocolate? Milk chocolate if my favourite! 2. What is your favourite kind of shoe? Heels, but only to look at. I can hardly walk in them. 3. What is your favourite thing about blogging? Meeting new, wonderful people and sharing my passion for the things I love. 4. If you could switch lives with any fictional character, who would it be? Woodstock, the bird from the Snoopy series. That is just a cool bird and I loved Snoopy as a kid. 5. Coffee, tea, chocolate or both? Tea and chocolate please! 6. Do you have a style icon? No, not really. My style tends to vary alot, I just go with whatever looks and feels right at the time. 7. Cats or dogs? Dogs for sure, not a catperson. 8. Do you wear nail polish? Fingers, toes or both? I do, usually on both my fingernails and toenails. 9. Have you ever broken a bone? Thankfully no, never been a wild child haha. 10. What do you eat for breakfast? Two slices of bread, one with honey and one with peanutbutter. 11. If you found a genie in a bottle, which 3 wishes would you want fulfilled? I would want to go to New Zealand with my family, have my own candy and icecreamshop, own a nice big home with a garden (ok, I do have a home with a garden, but it is a rental haha). 1. Your first pet was? 2. What's you favourite outfit? 3. What you your perfect day look like? 4. What is your favourite season? 5. What were you like as a kid? 6. What is you favourite song to sing along to? 7. Where in the world would you like to go on holiday? 8. What's your worst habit? 9. What's your favourite tv show? 10. Do you prefer rain in summer or sun in winter? 11. When are you happiest? Now for something else: tomorrow I will post my first batch of pictures from Switzerland!! Aw, thank you so much, Susie! You are so sweet! <3 I'll answer your questions on my blog as soon as I get a chance! I just realised the question 'coffee, tea or chocolate or both' doesn't even make sense hahaha brainfart! SO cute that you want to be Woodstock, aww!